As the gale force winds and torrential rain continued for a second consecutive day, McMullen and Towersey took advantage of their early tee time to card 79s and open up a two-stroke lead over Donabate’s Pat Doran. 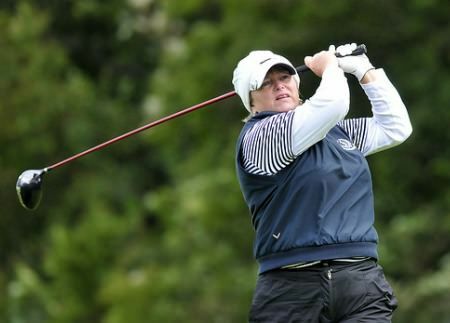 England’s Amanda Mayne is one stroke further back followed by Irish Seniors’ Close Champion Suzanne Corcoran (Portumna) and Canada’s Diane Williams. In the Nations Cup, Ireland B and Canada B continue to set the pace, one shot ahead of Ireland A with England a following closely behind. Winner Minna Kaarnalahti (Finland) after holing the final putt of the 2012 Irish Senior Women’s Open Strokeplay Championship at Royal Belfast Golf Club. 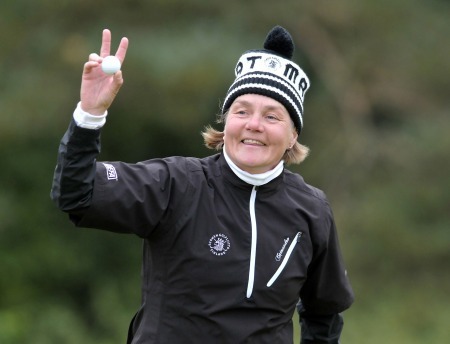 Picture by Pat CashmanFinland’s Minna Kaarnalahti successfully defended her Irish Senior Women’s Open Strokeplay title when she carded a final round of 76 to win by five strokes at a windswept Royal Belfast. Donabate’s Pat Doran was one of just three players to break 80 in the weather-affected first round of the Irish Senior Women’s Open at Castlerock. 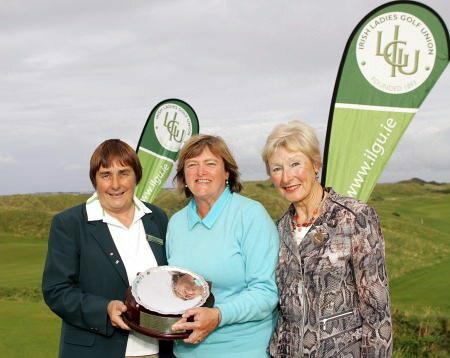 Picture ©ILGUDonabate’s Pat Doran, Headfort’s Pauline Walsh and Canada’s Diane Williams lead the field by one stroke after the first round of the weather-lashed Irish Senior Women’s Open Strokeplay at Castlerock.